The Laundry is often one of the most neglected (and most boring) rooms in the house, but just because it’s functional doesn't mean it can’t be attractive. Brighten it up with a nice light paint or wallpaper and light curtains. If you have the space, add plants or pictures. Add a shelf or two and store your bits and pieces in pretty baskets. Keep a laundry basket in each bedroom and one in the bathroom. If you’re limited for floor space, you can purchase hanging laundry bags for the back of the door. 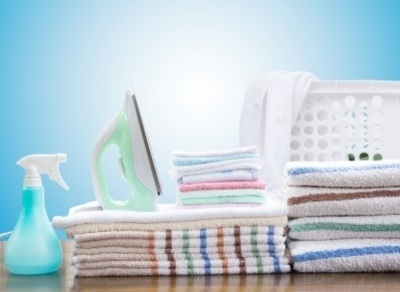 How often you wash will of course depend on how many live in your household. In mine there are only two, so mid-week I put on a small load of ‘essentials’ like work uniforms and underwear. This is when I use the dryer if I really need to. On my main washing day I tip all the hampers contents into the middle of the floor and sort into white, light, coloured and dark. This helps to work out how many loads I need to do. If you want to simplify this process even further, you can purchase hampers that are divided into three sections, so your sorting is pre-done. Don’t forget to do a pocket check on pants and jackets! Socks can be gathered up and placed into a lingerie bag so that they stay together in the wash. I saw a great idea for a ‘sock board’ that hangs on the laundry wall. Odd socks are pegged there until its matching partner is found. Check for stains that need to be treated. I prefer to use a stain removing soap bar rather than a spray. It’s cheaper and less wasteful. I keep an old shaving brush handy to gently rub the soap into the stain. For convenience you can buy a stain remover pen that slips in to your handbag or glove box, so you can pre-treat the stain when it happens. To save money, you can buy washing powder in bulk when it’s on special – or if you’re keen you can make your own by mixing 2 cups of finely grated soap, 1 cup of washing soda and 1 cup of borax. You can store this in an airtight plastic container and use 2 tablespoons for each full load. Most washing powder manufacturers recommend too much (so that you’ll have to buy it more often – good for them but not for you). Try using only two thirds the recommended amount. 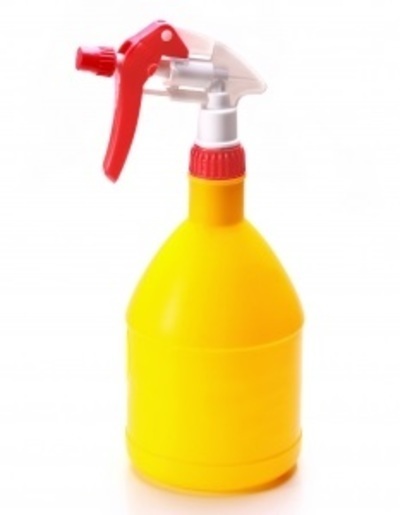 White vinegar is a good substitute for fabric softener. Hang the most needed things on a large clothes airer which you can put outside when it’s fine. This way you can take advantage of where the sun and the breeze are best all through the day and it’s easier to get them in quickly if it rains. Other less urgent things can be pegged on the regular clothesline. Hang coloured items inside out to prevent fading. Keep pegs in a simple shoulder bag so you can hang it around your neck. I hang shirts on coat hangers so that when they’re dry I put them straight into the closet. Peg t-shirts under the arms so the marks won’t show and you may be able to get away without ironing some of them. I'll never enjoy laundry day but these ideas help to make the task a little easier.